State Representative Elizabeth “Lisa” Hernandez, 24th District, invites you to be a part of Lisa’s birthday celebration during Rep. Hernandez’s 2nd Annual Golf Outing on Thursday, July 19 at 9:30 to 5pm at Gleneagles Golf Course, located at 13070 McCarthy Rd., Lemont. 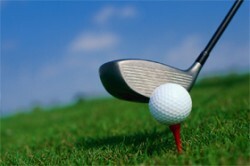 Your day will include, 18 holes for golf, raffles, take-a-ways, and (1) hole-in-one cars awarded. If you would like to join Rep. Hernandez or would like to learn more, email her office at hernandez.volunteers@gmail.com.